AV for You provided video rental equipment for a Clearway Minnesota event at the Minneapolis Institute of Art. 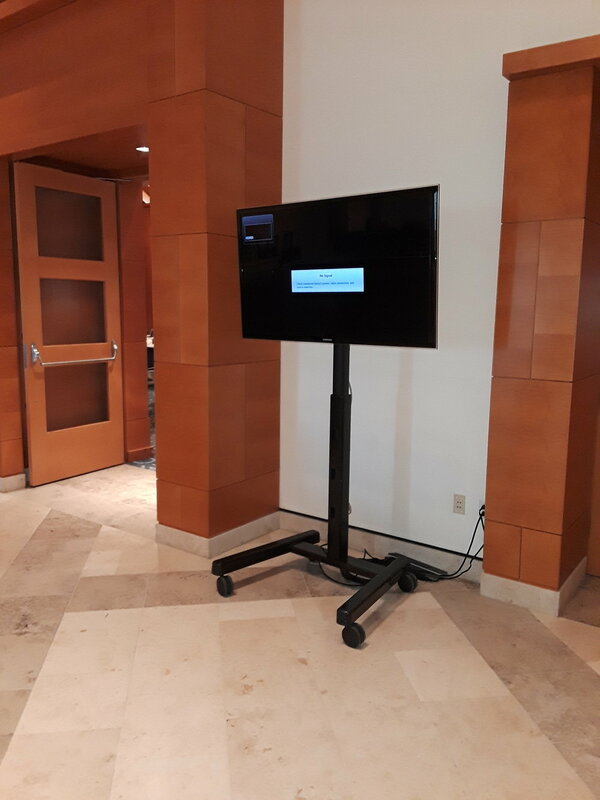 For TV rental equipment we set up a Samsung 55” Monitor on a Chief Rolling Stand. We also supplied one of our Media Players to allow for looping slideshow on the screen.